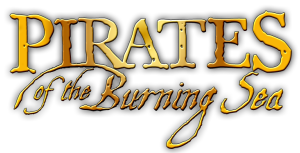 The Syndicate®, is pleased to be able to bring you this very information packed interview with the Pirates of the Burning Sea development team. A great many topics are touched on in the interview ranging from how pvp is handled, to the size and scope of the world, to how large of a fleet you can personally own, to how long it takes to trade between towns and much more. Do you want to know how you capture an enemy ship or if you can storm a town from land, as well as sea? What about how griefing is handled? The penalty for death? Then read on for that and much more! 1) How much will strategy play a role in the outcome of sea battles? : Strategy plays a key role in combat, even at higher levels when your ship is more powerful. One of our archetypes, the scout, stays in relatively small ships their entire career. Their biggest advantage is their speed and maneuverability which enables the scout to stay out of the firing arcs of the bigger ships. Of course two bigger ships can cooperate and sail in such a way that the scout is forced to enter hostile firing arcs more often. 2) Will ships that get "too" infamous be tagged and tracked (hunted) by authorities? I.E. 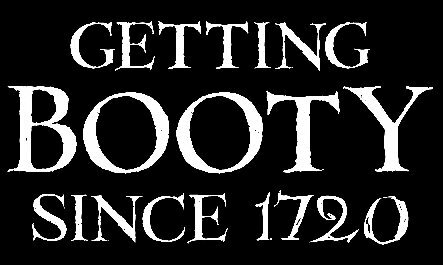 bounty (and a lowering of their own notoriety to authorities) to tempt other captains to hunt them down and bring them to justice? :We don't track the reputation of individual ships, but captured ships have an interesting and related mechanic. Each career specifies the set of ships that is allowed for that characters in that career. When a player captures a ship that they are not permitted to own, for example a pirate capturing a big navy ship, the player is wanted. Wanted players are always PvP+ when they are in the navigation zone. They can be attacked by any player of another nation whenever they are sailing that captured ship. This lets the pirates have access to whatever they like while but forces them to choose to open themselves to danger to do it. 3) Will knowledge of the area by those familiar with it (reef/shoal/shallows/normal wind speed/direction/fog etc) have impact on the ship/ship chases/encounters? : Knowledge of the terrain will allow players to approach the shore and other hazards to navigation without bumping into them. As players get used to fighting in different areas, this should give them a distinct edge in combat. 4) Will ship condition (just out of drydock ie no heavy barnacles dragging on your hull make you faster than an equal ship that has grown barnacles for a long period of time? Similarly will the condition of your crew? sails? etc.. affect it? : We chose not to include ship deterioration in the game. When your ship is repaired, it is fully repaired and good as new. 5) If your ship is overloaded, and thus slower as a result, and you get attacked, can you command your crew to dump items overboard to go faster or is that a manual process you need to perform? : We felt that it would be more fun to let anyone who wants to play the trading part of the game rather than penalize them for hauling cargo. To that end, our inventory system doesn’t allow a trader to overload their ship, and the degree to which your holds are filled does not affect your ship's performance while at sea. 6) How much variety will there be in the look and feel, as well as in the content, of each town? : The look and feel of each town is determined by its population size and national origin. Each nation has a distinctive look that you will notice in each town of that nation. Different towns of the same power will have the same style but different layouts. Trading content will vary to some degree between ports, with each port only providing a subset of the total number of commodities. Mission content will appear in only one place, for the most part, so it will be entirely unique to a town. 7) How much real world time will it take to sail from port to port to trade? : Given the dimensions of the PotBS game-world, it will take a player typically 45 minutes to travel from one end of the map to the other. Dependant on distance between ports, it could take a player anywhere from 4 to 45 minutes to complete their trade routes. 8) You mentioned boarding other ships, how will this be handled in terms of will the player with more "npc crew" win, will it be a buttonmash swashbuckler mini-game, etc? : Our current boarding system gives the victory to the player with the most crew with a bit of randomness. We expect to replace this system with a full ship-board avatar combat system after launch. 9) Is everyone PVP+ all the time, or can you choose if you want to pvp with either a pvp flag or pvp+ areas? : At any given time 12 ports will be in contention. The players decide which ports by attacking NPC shipping near their targets and doing missions. Each of these contended ports has a hotspot surrounding it that allows first PvP between the national powers and pirates, and then open national PvP. These hotspots are big and obvious on the map, and you are warned when you enter them that you are entering a PvP area. Players consent to PvP by entering a hotspot. 10) What is the penalty for dying and/or losing your ship? : If you have a invalid ship (see answer 2 above), you will lose your ship when you die. We anticipate that players will generally always have access to a ship that is appropriate for your career and level. When you lose a battle, you return to the nearest friendly port and be fully healed. 11) Is it one ship per player, or can each player make up their own fleet? : Each player can own up to three ships but can only control one of them at a time. There are, however, opportunities for players to create their own fleets by grouping with each other. Supporting epic fleet vs fleet battles on the high seas was an important part of the PotBS design process. 12) How will you handle griefing or is that even possible with the way missions and trading are setup? :Griefing takes many forms and has many solutions, most of which are pretty standard. We have a profanity filter and an ignore list. Avatars and ships in the navigation zone move right through each other, so blocking isn't possible. You can't attack other players unless they consent to PvP by entering a hot spot. All of these things and more are attempts to limit griefing. In addition to being designers, we are gamers as well. While it is important to us that our game is both enjoyable and challenging, it is equally as important that our game world mechanics are designed in a way that makes it less enjoyable to grief other players. 13) Is the process of repairing your ship instantaneous in port or does it take real world clock time to wait and have it fixed? If so, how much time? : When you return to port your ship is repaired in dry dock. You are also able to repair your ship in on the open seas and while in battle, and those repairs do take time. The time it takes varies, dependant upon on the severity of damage to your ship, and the kinds of resources you are using. 14) Can you land your ship and have your crew attack cities (or other pirates who are also on land) from the ground? : We agree that avatar combat is an important feature, and while we do not anticipate having avatar combat in place at launch, we are intending on adding this feature soon after.